Opera can’t seem to get a break. They get to make all these browser innovations and come up with original ideas and still sits at the bottom of the barrel in browser usage stats. In some ways Opera browser is a lot like Linux; they are really good (some could argue that they are the best) at what they do but no one seems to know enough to even give it a fair shot. I was also guilty in this, but I am also not a normal browser user as I switch back and forth from one browser to another on a different platform to check out and test drive what new features and innovations are going on in the browser market. Having used all major browser (IE, Chrome, FF, Opera) for extended time, I can tell you that modern browsers have reached a stage where you can hardly distinguish one another when it comes to performance and in recent case they even look and work a lot similar with minimalistic UI and the way tabs functions. 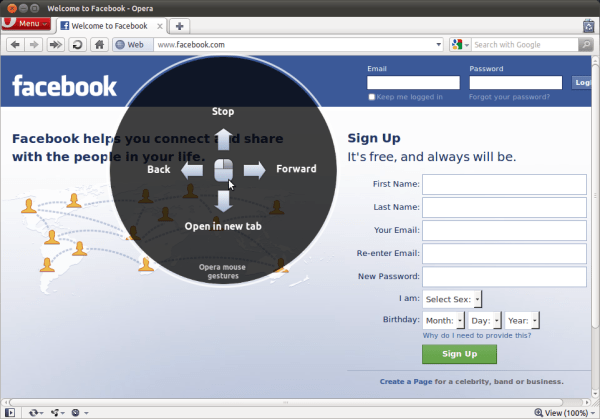 However, one browser that really stands out is Opera, not only does it come with a set of features that are unique with Opera, it also has all the goodies you come to expect from other more widely used browsers out there. Don’t get me wrong, these unique features are also available on other browsers as a second thought, in the form of extensions. But most of us who are heavy users of browser add-ons or extensions know very well what extensions can do to browser performance. As a matter of fact, even if you don’t take extensions into consideration and just look at memory usage of top 4 browsers you will still find opera to be more responsive and a better manager of memory with all the added built-in features. Opera lets you see the preview of a web page loaded on a tab by hovering your mouse on the tab without you having to switch to the tab to see it. 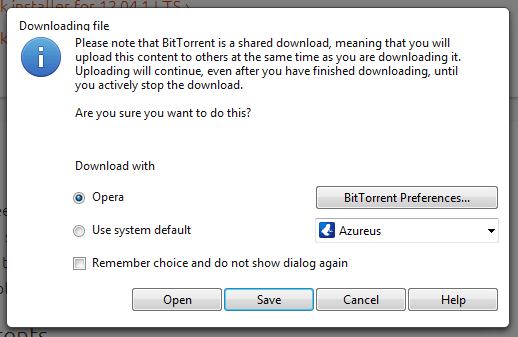 Opera has a built-in torrent downloader. You don’t need an external torrent client anymore. 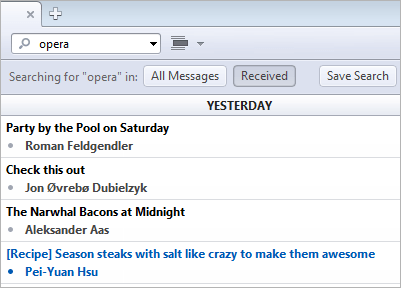 It is possible to manage all your emails account with built-in Opera email client. 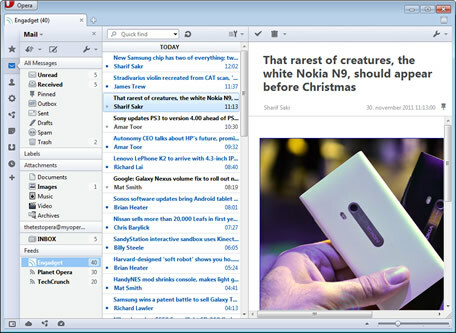 An RSS reader available within the mail client. A built-in note manager that will replace most of your Evernote usage. Mouse gestures let you automate common browser actions by the manner you move your mouse. 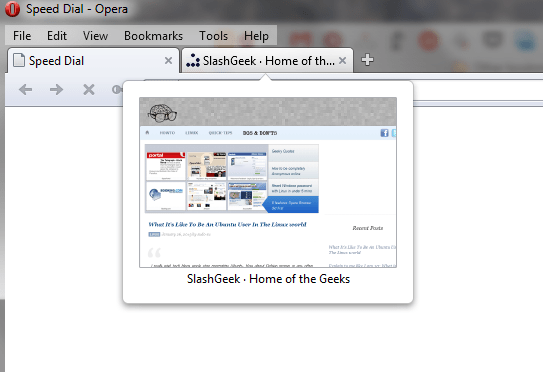 With Opera, it’s not only built-in to the browser but was also the first browser to ever have this feature. Other browsers have this option only through third party plugin and I have used them and they don’t feel as polished as it is on Opera. 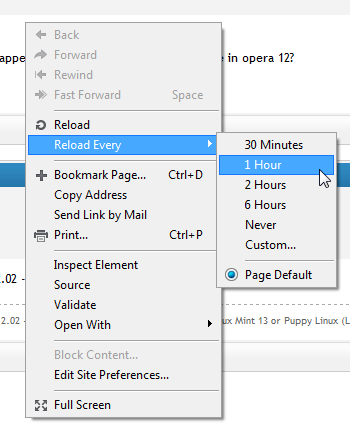 Opera has a feature where it lets you configure a certain web page to reload every few seconds or minutes. This can be useful to see updates on certain sites that doesn’t automatically update itself. In some situation, you want to back to the previous link but also want to keep the current website open. Without going through elaborate tasks, on Opera, you could just right click and “clone Tab” to duplicate your current tab and go about doing your business. If you know any interesting Opera built-in feature that I might have missed, feel free to share in the comments.